Being from Singapore, I am fluent in both English and Mandarin. I can read, write and speak at a bilingual, native proficiency in both languages. I primary speak English at home, but studied mandarin for over 10 years in school. I'll start by teaching your basic intonations, sentences, and even some idioms to spice things up! Mandarin is a musical language that's quickly taking over the world, you'll have lots of fun learning this language. Tammy delivers an exceptional lesson experience and ranks in the top 15% of our teachers nationwide. Currently teaching and managing a team of 7 teachers, with over 90students all over New York City! 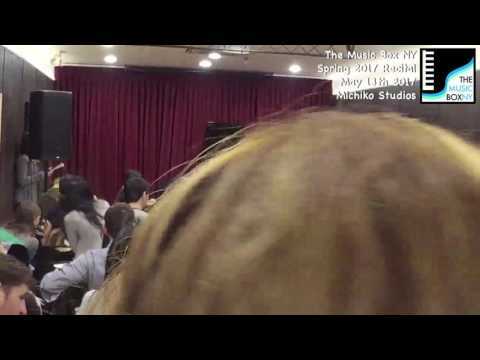 Here I am talking about The Music Box NY! Me and a bunch of my crazy students after our Winter recital in December 2016! Arden Sehgal plays Shake It Off (Taylor Swift) and Fight Song (Rachel Platten) for our recital on May 13th 2017! 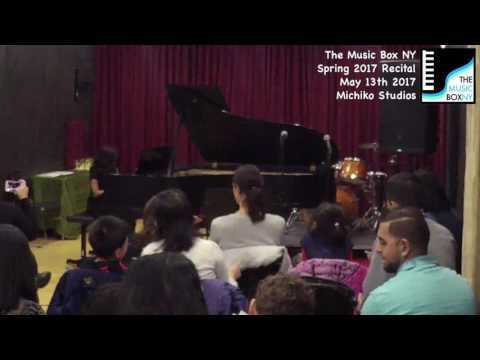 Quentin Cutone, one of my intermediate students, plays Minuet in G and The Flintstones during our recital held on May 13th, 2017. A few video clips of my students playing some songs! 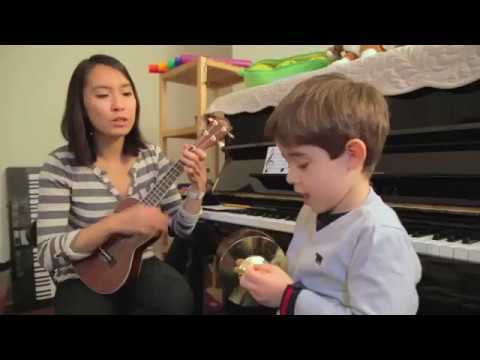 Ms Tammy can teach ukulele too! Recitals are held twice a year! We are absolutely thrilled with our experience with Tammy. My two sons meet with her online to review the Mandarin language they take at school. The extra 30 min. a week of conversation and tone work is invaluable. I would rate Tammy a 10/10 as she sends highlights, a review and suggestions of study for the week after each lesson. If a person can have teenage boys look forward to "extra" Chinese weekly, they deserve a medal! Tammy is great with children. My son was immediately at ease and she really went out of her way to make his first piano lessons fun and comfortable. She has a natural gift with children and a great singing voice. Tammy was patient, personable and let's not forget an amazing pianist...she made my daughters first lesson a wonderful experience. Look no further, Tammy Y is it!!! !